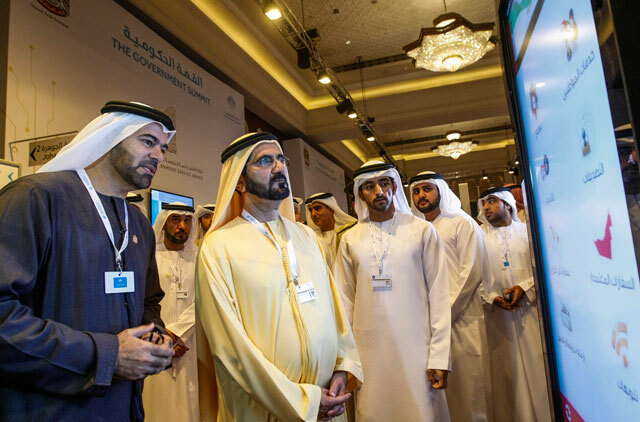 Curtains came down on the second annual Government Summit on Wednesday with the closing remarks from His Highness Shaikh Mohammad Bin Rashid Al Maktoum, Vice-President and Prime Minister of the UAE and Ruler of Dubai, who hailed the spirit of workers in the UAE. 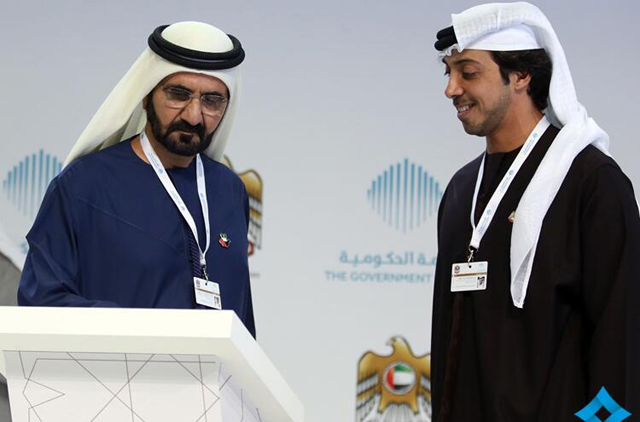 Shaikh Mohammad surprised the packed hall of government officials by taking the microphone just as they began to leave following the end of the final session. “I just want to thank all of you who attended the summit. This is the summit of high expectation. I am happy to say that UAE has the largest single and the best single working team,” said Shaikh Mohammad after he honoured winners of Best M-Government Service Award. Recounting his conversation with a guest at the summit he said: “One of our guests, a minister from GCC, asked me why we use the term happiness instead of satisfaction. I told him, because happiness is everlasting. It is like victory over your enemies." Shaikh Mohammad honoured the winners in five categories, with two teams of students from Zayed University Sharjah taking away the top honours, winning Dh1 million each. Hussain Lootah, Director General of Dubai Municipality, on Tuesday urged Emiratis to focus on setting up their own businesses instead of relying on jobs in the government sector. During a session on Optimising Government Service: The Potential of Public Private Partnerships, on the second day of the Government Summit, Lootah explained that the government sector has many responsibilities and the main one is to satisfy its clients, which is the public. In order to serve the public’s interest, governments not only use the private sector to carry its projects forward, but also utilises their ideas for new projects, such as the Crocodile Park. 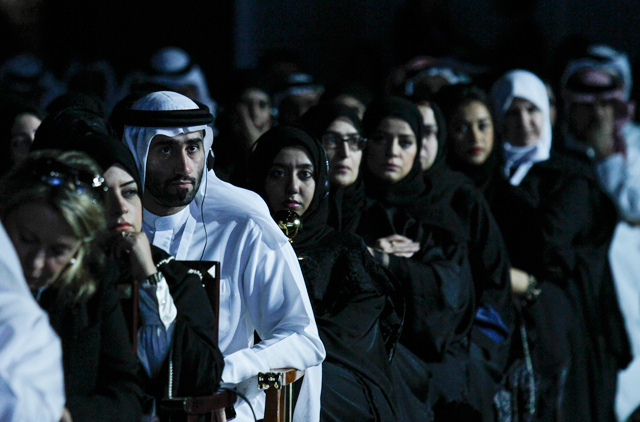 People in the UAE are connected with the leadership due to the open door policy, Shaikh Mansour Bin Zayed Al Nahyan, Deputy Prime Minister and Minister of Presidential Affairs, said on Tuesday. He was giving the main address on the second day of the Government Summit in Dubai, with the theme partnerships and innovation in government service delivery. During the speech, Shaikh Mansour launched a new government initiative – a website where everyone can propose ideas for innovation. “Today, we are launching a new initiative to engage various segments of the society and I call His Highness Shaikh Mohammad Bin Rashid Al Maktoum, Vice-President and Prime Minister of the UAE and Ruler of Dubai, to launch the initiative,” Shaikh Mansour said. 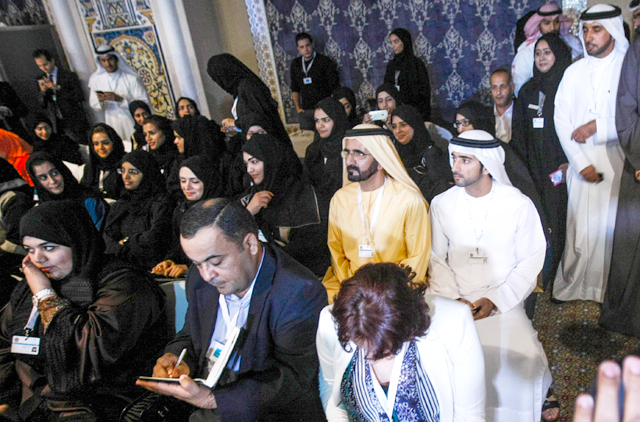 Shaikh Mohammad, who was attending the session, then walked up to the stage to launch the website, which aims to engage various segments of the UAE society. Shaikh Mansour said that winning Expo 2020 reflects the UAE’s ambitions and gives thrust for excellence as Shaikh Mohammad seeks. “We also want to make use of others’ experiences during the summit and we seek cooperation with public and private sectors,” he said. The UAE ranks first in citizen satisfaction with digital government and third in overall use of digital government in a new poll of 10 countries by Accenture consultancy. Announcing the results of the survey at a press conference at the Government Summit, officials from Accenture added that Singapore was the first and Norway second in overall use of digital government worldwide. Latin America leaders have called for more transparency in governments worldwide, as it is the key to build trust between the state and its citizens. In a session moderated by Sultan Al Mansouri, UAE Minister of Economy, representatives of Latin America discussed the future outlook for service innovation and the next generation of government service design and delivery. In order to fulfil the vision of His Highness Shaikh Mohammad Bin Rashid Al Maktoum, Vice-President and Prime Minister of the UAE and Ruler of Dubai, of providing first class service similar to that of top hotels, government entities should have similar objectives, a top hospitality official said on Tuesday. Lawless was speaking at a session on the second day of the Government Summit called Five-Star Customer Service: What Governments Can Learn From The Hospitality Sector. 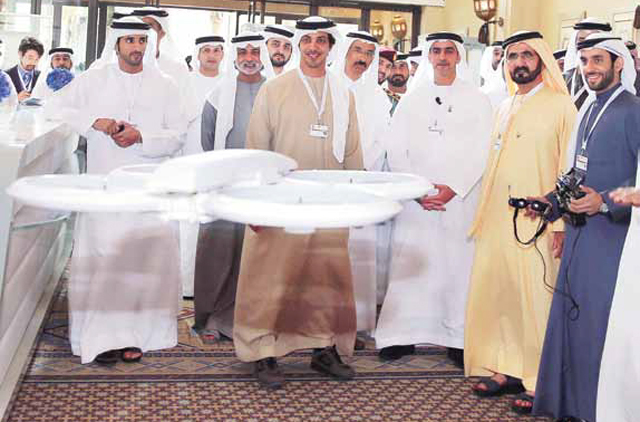 Under the direction of His Highness Shaikh Mohammad Bin Rashid Al Maktoum, Vice-President and Prime Minister of the UAE and Ruler of Dubai, the UAE government has launched a new competition with a $1m international prize and Dh1m UAE prize for inventing a drone to deliver government services more efficiently and conveniently, it was announced on the sidelines of the Government Summit in Dubai on Tuesday. Speaking at a press briefing, Mohammad Al Gergawi, Minister of Cabinet Affairs and Chairman of the higher committee for mobile government, announced that organisers hope to see the first winning inventors of the Unmanned Aerial Vehicles (UAVs) by the next Gov Summit in 2015. Private companies, students, universities and specialised professionals will be invited to participate. Details of the initiative will be available in two weeks on a dedicated website, Al Gergawi said. “The [drone] service must be for a peaceful, civilian purpose that serves humanity,” he said. 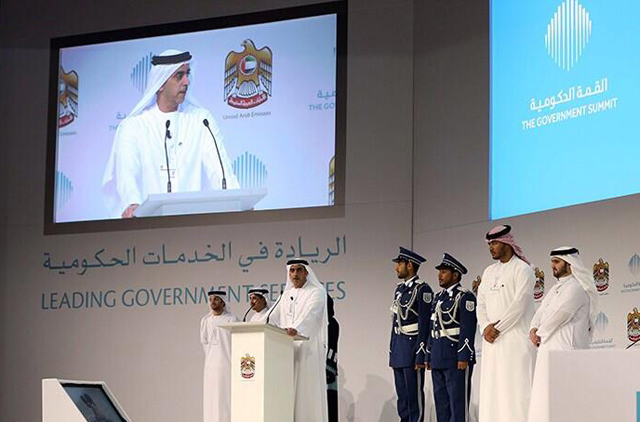 Al Gergawi added that the initiative was part of Shaikh Mohammad’s vision for smart government services. 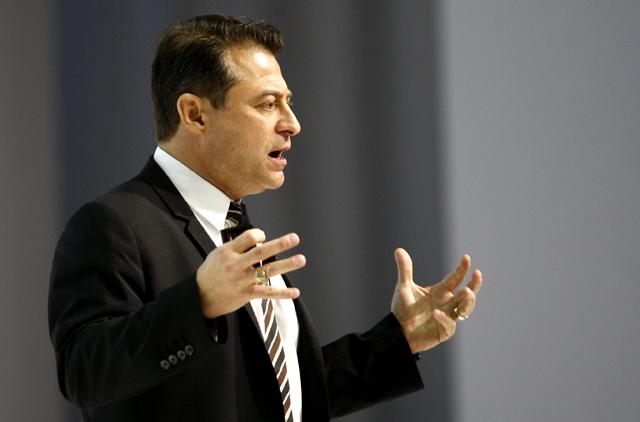 The world is no longer changing from century to century, rather it is changing year by year, according to Dr Peter Diamandis, the co-founder of Singularity University in the US and founder of the futuristic X-Prize. Dr Diamandis was speaking at session of the Government Summit on Tuesday titled the World in 2050. “In 10 years, it is predicted that 40 per cent of the future 500 companies will no longer exist. They will be replaced by companies we never even heard of,” he said. Talking about artificial intelligence, he said it can think better than humans, can understand and translate into 85 languages, can read and write. “So what does this mean? It means 50 per cent of jobs will be lost in 10 years,” Dr Diamandis said. “What should we do about it? Artificial intelligence should be used to empower individuals, we should learn to use them as our teachers. Robots will also enter every aspect of our life they will also take 50 per cent of service labour. And we are not talking about 45 years into the future, they exist now,” he said. 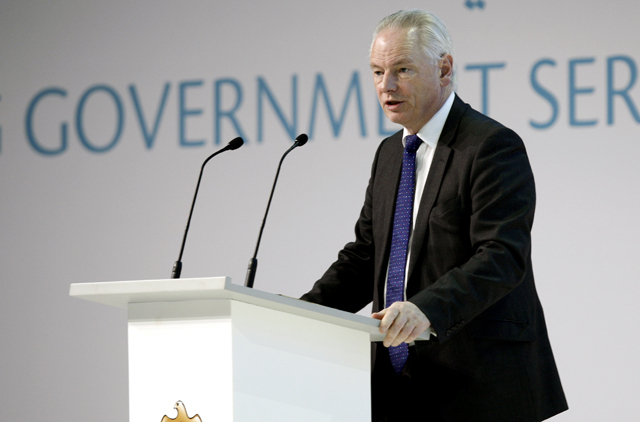 There are no finish lines in digital race and all organisations either get better or worse, Rt Hon Francis Maude, UK Minister for the Cabinet Office and Paymaster General, said on the second day of the Government Summit in Dubai on Tuesday. He said that no two countries have exactly the same experience, but all governments face rising expectations from their citizens. Day Two of Government Summit begins at Madinat Jumeirah with a plenary session on 'Smart Societies for Smart Cities' by Dr Richard Florida, Professor, University of Toronto and NYU. 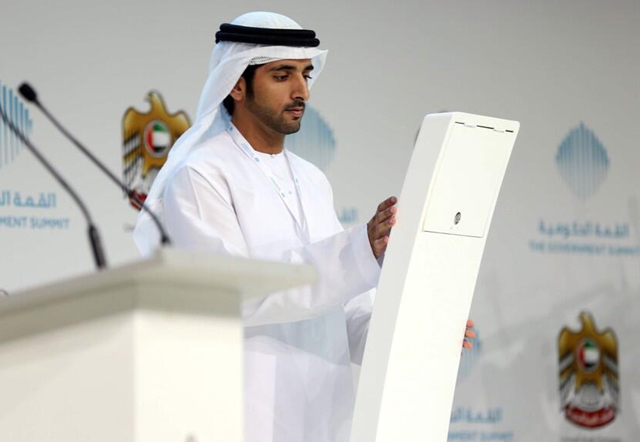 Shaikh Hamdan Bin Mohammad Bin Rashid Al Maktoum, Crown Prince of Dubai, has launched the Dubai Government Initiative 2021 at the Government Summit. In a video presentation, Shaikh Hamdan showcased how the lives of residents will improve by 2021 with the implementation of technology. The initiative aims to create a single-window system that will allow people seamless access to all government services. Continuing on the values of leadership, Shaikh Saif said: “In 1973, there was an attack on Egypt. When Shaikh Zayed sent his eldest son Shaikh Khalifa, Crown Prince in 1973, to Egypt to help the country, he was preparing a leader. He was teaching him about loyalty. UAE could soon have a legislation to regulate car use as one of the ways to reduce traffic in major cities, a session on Smart Mobility at the second Government Summit in Dubai heard on Monday. Mattar Al Tayer, Chairman of the board and executive director of Dubai Roads and Transport Authority (RTA) suggested regulating car use as an option. He also advocated implementation of smart systems to improve transportation services. "The RTA will have more than 200 mobile services for the convenience of people by the end of 2015,” said Al Tayer. Speaking at the same session Professor Brad Templeton of Singularity University gave the session an insight into future of cars. “In the few years from now the we will use cars will be totally revolutionised like what happened to the use of mobile phones. We will see cars, that will drive themselves, cars that will act as delivery boys and do much more,” said Prof. Templeton, who is a chair of networks and computing at Singularity University, USA. Despite the financial crisis, the number of visitors to the UAE increased by 113 per cent, while foreign investment increased by 40 per cent, Lieutenant General Shaikh Saif Bin Zayed Al Nahyan, Deputy Prime Minister and Minister of Interior said Monday at a speech at the UAE Government Summit. His Highness Shaikh Mohammad Bin Rashid Al Maktoum, Vice-President and Prime Minister of the UAE and Ruler of Dubai, was present at the session along with several other top officials, ministers and dignitaries. “Our founding fathers worked to make the UAE a happy nation, and now we lead the Middle East and the 14th globally in the Happiness Index,” Shaikh Saif said. Ministers of Social Affairs from the Arab world called for their citizens to be more independent, and not to feel comfortable relying on social welfare without taking initiatives to find a job. Mariam Al Roumi, UAE Minister of Social Affairs, explained that citizens should be self-reliant as they otherwise use the government’s resources, which could have been better allocated to people more in need. 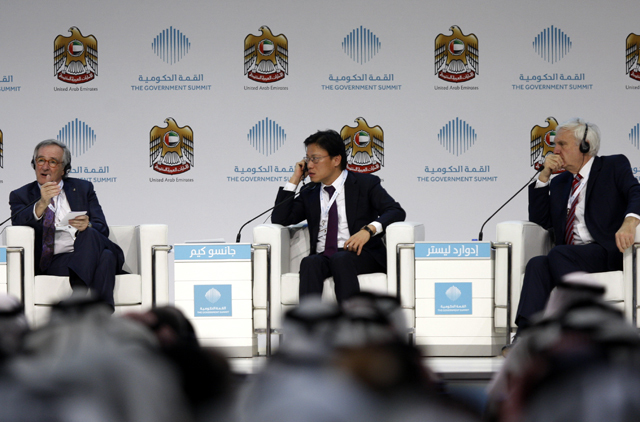 The ministers were speaking at the second annual UAE Government Summit in Dubai. His Highness Shaikh Mohammad Bin Rashid Al Maktoum, Vice-President and Prime Minister of the UAE and Ruler of Dubai, visited a session of the UAE Government Summit on Monday, where Mariam Al Roumi, Minister of Social Affairs, was speaking. 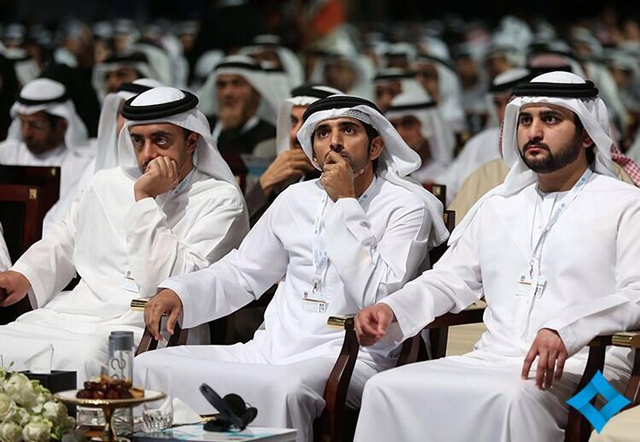 As soon as Shaikh Mohammad entered, the entire floor went into applause. He also toured the summit arrangements at Madinat Jumeirah in Dubai. People are living longer but not healthier as 'diseases of affluence' rise, panelists at a session of the UAE Government Summit said. The panel included Dr Allen Wai-Lun Chung of Hong Kong Hospital Authority and Dr Catherine Mohr of Intuitive Surgical in the US. Mayors from three smart cities said on Monday that the key to transforming any city into a modern one is to use technology wisely to serve the public’s interest. 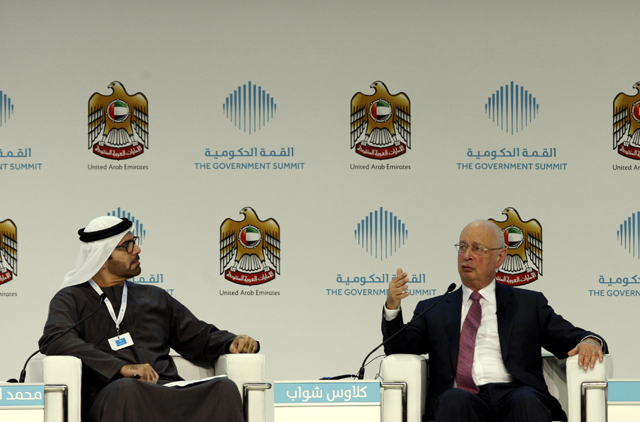 The mayors were speaking at the second annual UAE Government Summit in Dubai. Dr Gunso Kim, Deputy Mayor of Seoul in South Korea, said the technology can be optimally harnessed for efficient services by collecting data of citizens from their technology devices. Although the invasion of privacy might be seen as a setback to some, Dr Kim assured the audience that such techniques are valuable when collecting data to serve public interest. Other speakers at the session moderated by CNN anchor Richard Quest were Xavier Trias, the Mayor of Barcelona, and Sir Edward Lister, Chief of Staff and Deputy Mayor for Policy and Planning of London. Sir Lister stressed that a smart city is not only about adopting the latest technology, but also using it in various sectors, such as transport. A growing city such as Dubai has to integrate its public transport, which should complement people that walk across the city, he said. 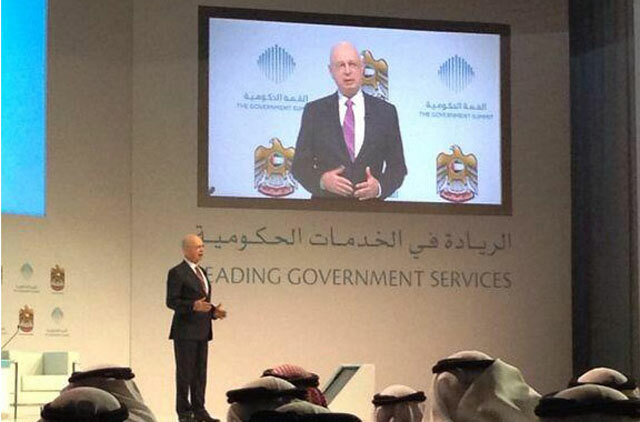 The second annual UAE Government Summit opened on Monday morning with a keynote speech by Klaus Schwab, Founder and Executive Chairman of the World Economic Forum. Schwab said that the optimal use of big data, inclusion of private sector in governance and smart cities will be key to the future of government services. 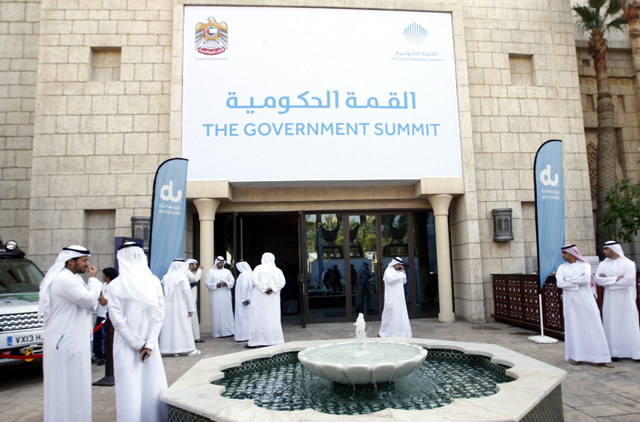 Some of the world's most respected government and business leaders, decision makers, executives and experts have gathered for the Government Summit at Dubai's Madinat Jumeirah. 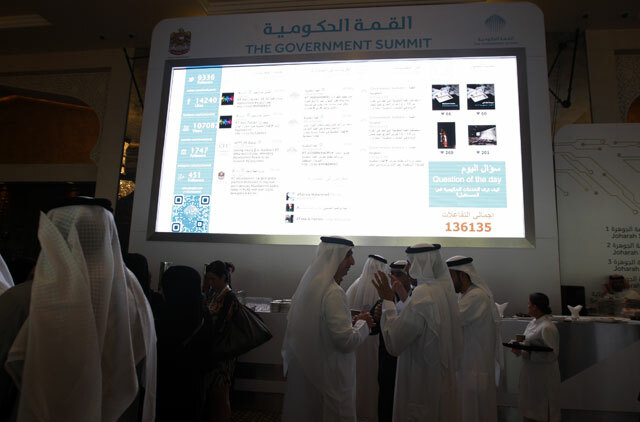 The three-day event, held under the patronage of His Highness Shaikh Mohammad Bin Rashid Al Maktoum, Vice-President and Prime Minister of the UAE and Ruler of Dubai, the summit focuses on how the happiness of citizens can be improved through transformative government services. On Sunday, a pre-summit OECD meeting, jointly organised with the UAE government, was held as part of the annual meeting of the Working Group on Open and Innovative Government. It primarily looked at easy data access and how that can affect smart government.